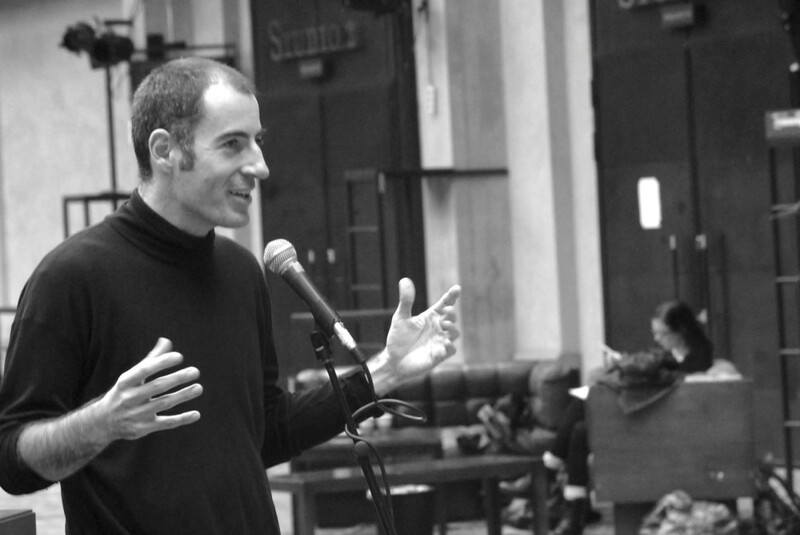 Davide GIOVANZANA (1972) is a Helsinki based theatre director, researcher and pedagogue. His theatre work is very visual and ranges over styles and mediums (circus, performance installation, text based drama, masked theatre, puppet theatre, speechless/movement theatre). Lately, he mainly teaches and directs shows in Finland, Latvia and Switzerland. He is the artistic director of the Finnish theatre company Teatteri Metamorfoosi and of the Swiss theatre company I Divorati. In 2014 he was invited to the Golden Mask in Moscow and he was selected as one of the three Finnish directors to work at the prestigious Moscow Art Theatre. He has been awarded three times at the Theatre festival Encounter (Brno, Czech Republic). He finished his PhD in 2015 at the theatre academy of Helsinki examining the phenomenon of the play within the play.. He started a post doc research on representation of violence. In 2017 he has been nominated honorary professor of the Latvian Culture Academy. Already my background, having two nationalities (Swiss and Italian), and living in Finland puts me in the situation of oscillating on a daily base between three to four languages and cultures. This pushes me to integrate in my work differences and to crossover disciplines. However my work is not a glorification of some multicultural values, but more a way to explore limits, tension and influences between different modes of expression or of being. At the core of this research is the question of how as an individual (or as a society) someone establishes relationships -or togetherness- and exclusions (as a way to define identity). What interests me is the conflict between the inner infinite and the clash with the outside reality. How does a person come into terms between the personal dreams, which are trying to model reality, and reality, which affects the personal dreams.